I was in one of those nostalgic about childhood moods so I thought "what the hey!" 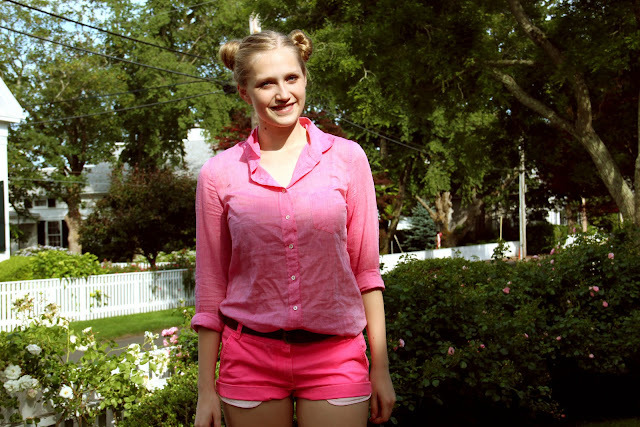 and put two buns on the top of my head and dressed myself in head-to-toe pink. Ilikeit. Haha this is so cute! Love the pink and the little girl buns. So much fun. Love this combination!! 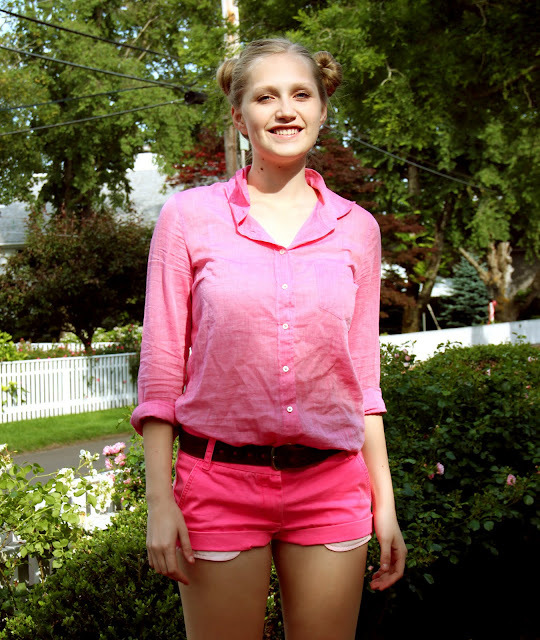 !This color is great on you!Super cute shorts! loving the second photo - you look so cute! I love your outfit and hair! nice look and nice hair style! Very cute clash of pinks :) And I love the hair. Great outfit...love all the pink! Im wearing my neon shorts too today lol, were too alike! I love the whole pink look a lot! The hair style is adorable, loving the PINK! You are so cute!! And your outfit is wonderful :)! I love those pink shorts! !